For an incredible event that your guests will never forget book Shawn Mendes and his velvet vocals to grace the stage. As a booking agent for Shawn Mendes we can help book him to make your event truly special. 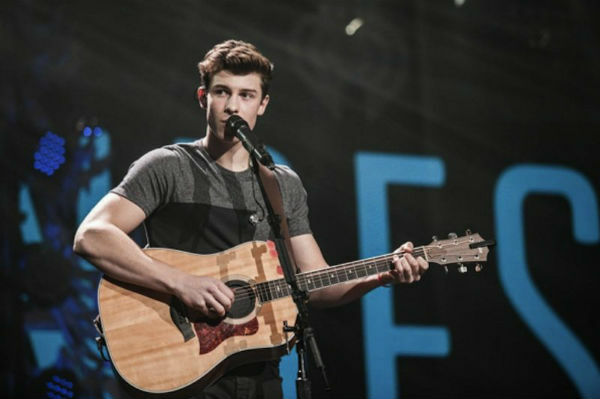 Born and raised in Canada, Shawn Mendes broke into the industry at a young age. He showed off his charming vocals on video site Vine, covering snippets of popular songs and earning an impressive amount of followers and fans with each video. It wasn’t long until word of this rising talent found its way to the record labels and soon he was receiving a phone call from Andrew Gurtler of Island Records who he signed with in early 2014. With his established fan base from his time on Vine, Shawn Mendes was already a familiar name in many music circuits. However, after the release of his self-titled EP led to a no. 5 slot on the Billboard Charts his popularity was launched to new heights; with the record selling over 48,000 copies in only the first few weeks. 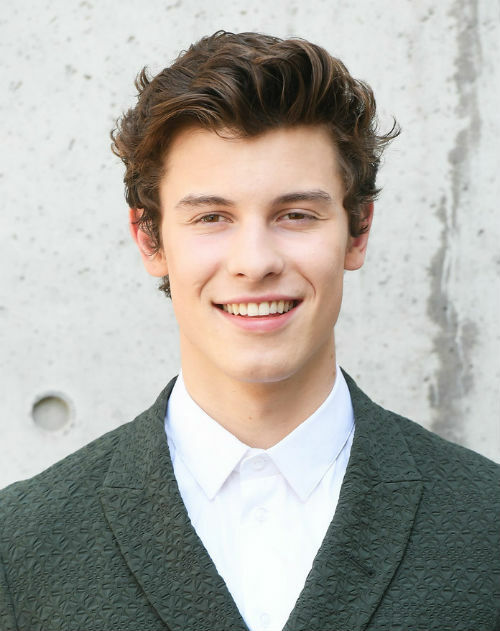 Likened to a fusion of Ed Sheeran and Justin Bieber due to his social media beginnings and acoustic song writing, Shawn Mendes had started his ascent to pop stardom. There was no sign of slowing down as Shawn Mendes soon released his first studio album, following up its lead single ‘Something Big’ that had come out months before. As a result, with the buzz generated from its preceding single, the album ‘Handwritten’ was another triumph with an amazing debut at no. 1 on the Billboard 200 chart. In its first week alone it sold over 106,000 copies and soon after earned a platinum certification. 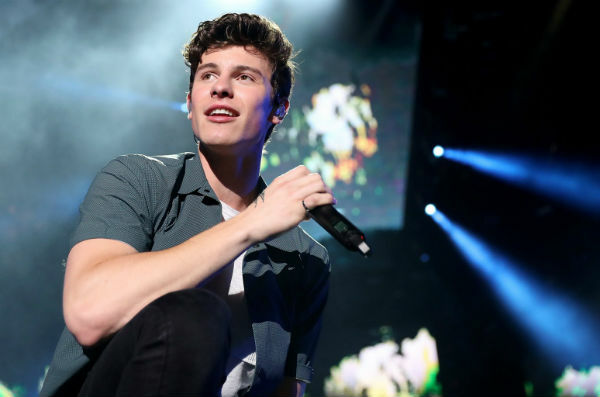 Shawn Mendes also took over a record-breaking spot as the youngest artist to debut at no. 1 since Justin Bieber, with them both sharing the social media origins that helped to boost their careers, due in part to a loyal following of listeners. One of Shawn Mendes’ most popular singles to date was part of the album; upon its release ‘Stitches’ peaked at no. 4 on the Billboard Hot 100 charts in the US and was even more successful in the UK with a number one spot. His stratospheric rise to fame was further highlighted when he was asked to support the infamous Taylor Swift on the North American leg of her 1989 tour. He also collaborated with Camilla Cabello during her Fifth Harmony days on ‘I Know What You Did Last Summer’ which they wrote together while backstage on the Taylor Swift tour. They performed the Top 20 ranked track on multiple occasions on hit shows such as The Ellen DeGeneres Show as well as at the People’s Choice Awards in 2016. His combination of earnest pop songs infused with sentimentality and undeniably catchy rhythms helped to propel Shawn Mendes to his chart-topping status, particularly winning over teens with his relatable lyrics. His second world tour was announced in early 2016 and sold out in areas such as Europe and North America in a matter of minutes. His commanding take-over of the pop world continued with the release of the single ‘Treat You Better’, the first from his upcoming album at the time ‘Illuminate’. The single also peaked in the top ten of both the Billboard and UK Charts and was eventually certified triple platinum with sales of over 2 million. The album, which was released later that year, was also immensely popular, soaring to the top of the US Billboard 200 charts with a number one slot and going on to be certified Platinum. ‘Illuminate’ veers into a slightly new territory as Shawn Mendes delves into the world of romance, mixing longing love songs with up-tempo tracks brimming with charm as well as elements of funk and empowering rock thrown in for a truly dynamic mix, leading many critics to give positive reviews. One such review which praises his musical talent is from NME who states the album is “a bright and bold new direction for the 19-year-old singer, as he leaves behind sickly choruses for brazen, guitar-ridden anthems; he sounds all the better for it.” Shawn Mendes is only improving with age, confidently embracing new sounds and genres as his career develops. During his promotion for the album Shawn Mendes went on another sell-out headlining tour and appeared on multiple popular shows such as the iconic Saturday Night Live. With his music career now firmly in the spotlight Shawn Mendes has become one of the biggest names currently in pop. His unrelenting grasp of the top spot with many of his singles has once again been upheld with another top 20 hit; ‘In My Blood’ which was released in 2018 to overwhelming critical acclaim and has been praised by many as his best single to date. The subsequent self-titled album ‘Shawn Mendes’ also was released to rave reviews and achieved a no. 1 debut on the Billboard 200. This fantastic feat officially made Shawn Mendes the third youngest artist ever to achieve three number one albums. Shawn Mendes has done work with numerous charities close to his heart, he has helped inspire and motivate young people with non-profit ‘Do Something’ on a joint campaign called ‘Notes From Shawn’ which seeks to help boost self-esteem and spread positivity. Additionally, he has also worked with Pencils of Promise to raise money towards building a school in Ghana as well as starting the Mexico Earthquake Relief Fund after the devastation they encountered in Mexico City, donating $100,000 towards the work there. Over the course of his flourishing career Shawn Mendes has won and been nominated for an array of awards, with 140 nominations and 55 wins in total. Some of the awards he has won include 8 MTV Europe Music Awards, 4 Teen Choice Awards and an American Music Award for Favourite Adult Contemporary Artist. Make sure your event is spectacular and book Shawn Mendes for a brilliant headlining act that will put everyone in good spirits and really get the celebrations in full swing. 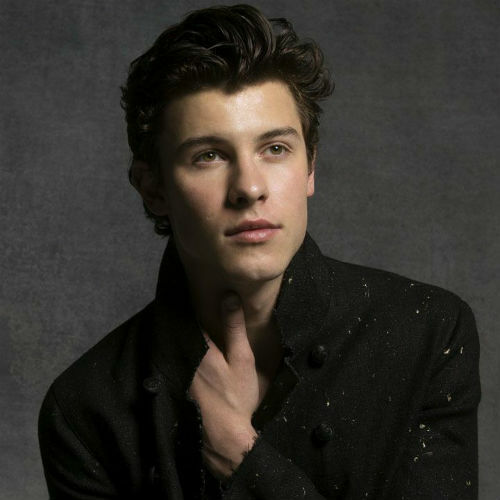 The charismatic Shawn Mendes is available to book with Contraband Events, and as a leading booking agency we can sort for this famous act to put on an exceptional show so your event is a huge hit among your guests. All you need to do is give us a call and we will be more than happy to help you book Shawn Mendes to ensure the occasion is sensational.